Crisp white and classic navy blue are the backdrop for a traditional, nautical dinnerware design. 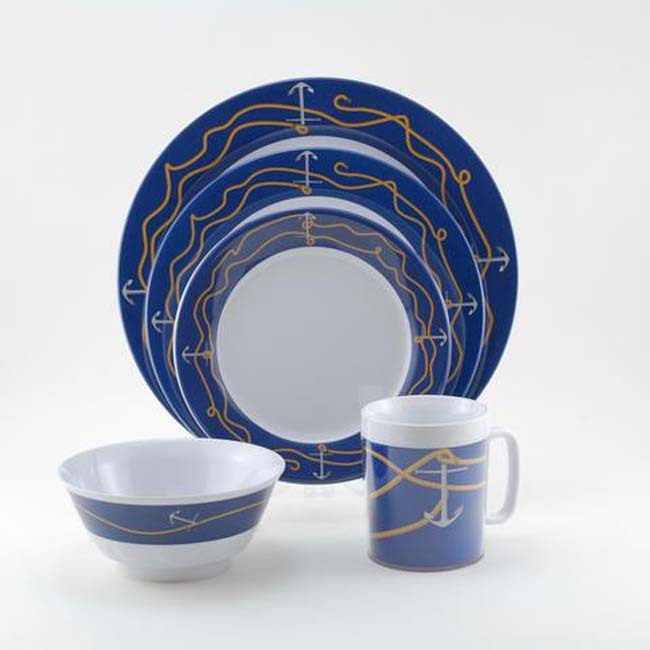 Anchorline is the all-time best selling design in this Melamine Collection. Each piece is ringed by golden yellow nautical lines intertwined around iconic ship's anchors. Plates and bowls have non-skid bottom rings. This set also includes a single 12" decorated serving platter no matter what size serving you select.